This book didn’t really meet my expectations, but I’m starting to feel that I made some assumptions while reading the synopsis. For that reason, I’m not going to rate it because it seems a little bit unfair. The story follows three demon hunting sisters, one of whom has gone missing under mysterious circumstances. The remaining two now have to set aside their distances and face the supernatural to get her back – when I read the synopsis for this novel I was sure it was just the thing for me! 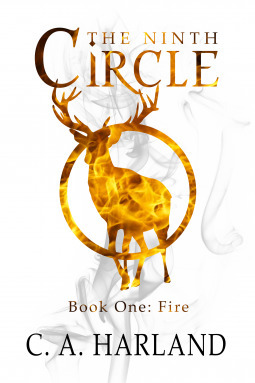 I thought that this book would be more focused on the mythology and supernatural aspects, particularly the circles of hell (as the title suggests!) but it was more of an action novel than anything else. I struggled to engage with the writing style or connect with either of the sisters as their dialogue and interactions didn’t flow naturally, so their actions didn’t make sense to me as we went along. They didn’t really fit into their surroundings and it raised the same issues as the Henry Cavil Superman film… wondering why nobody was really bothered about the collateral damage and body count they were racking up as they went along in Ireland. This is one of those picks that you know other people will really enjoy, but misses the mark entirely for you!